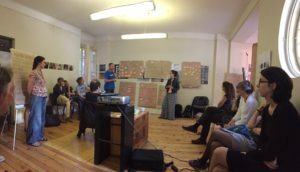 From Friday 5th to Sunday 7 June, dozens of zero waste campaigners, experts and supporters from across Europe gathered in Sofia, Bulgaria for 3 days of discussion, planning and strategy at the Zero Waste Europe Annual General Assembly, hosted by Zero Waste Europe’s member in Bulgaria, Za Zemiata. 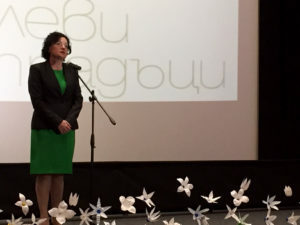 On Friday 5th, the Zero Waste Conference opened with a speech from Ivelina Vasileva, the Bulgarian Minister of environment and water. This was followed by a passionate speech from Enzo Favoino, the Chairman of the Zero Waste Europe Scientific Committee, who told the audience that “we must never surrender to the idea that there is something which is not reusable or recyclable”. 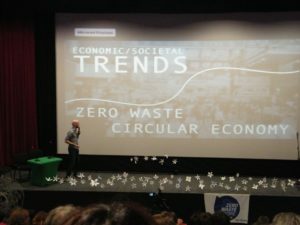 The Director of Zero Waste Europe, Joan Marc Simon (ZWE) emphasised in his speech that zero waste is about “asking the right questions: not ‘Is it better to landfill or incinerate?’ but rather ‘How do you mainstream the support to re-use, recycling, and redesign?”. On the Friday afternoon there were talks from regional zero waste groups, including Erika Oblak from Zero Waste Slovenia, who presented their success in Ljubljana, the first Zero Waste European capital. Marco Mattiello spoke about the successes of the zero waste strategy in Contarina, Italy, the best performing region in Europe as outlined in the ZWE’s case study about their experience. examined the economic context for zero waste as part of a larger “sharing economy” in a globalised world. Dimo Stefanov spoke about his challenges in creating a zero waste compost farm, and creating a viable zero waste business in Bulgaria. Delphine Lévi spoke on behalf of Zero Waste France about the incredible speed at which their campaign has grown, and how zero waste has become “trendy” in France, with the possibility of many significant gains on the horizon. Victor Mitjans from the Barcelona-based Fundació Catalana per a la Prevenció de Residus i el Consum Responsable, highlighted the use of ‘deposit schemes’ for recyclable materials as a financial incentive to increase the recovery rates of one-way packaging, and put forward the idea for this to be further extended towards other waste streams including precious metals and other pollutants. Csilla Urban, from Humusz in Hungary told the audience about the zero waste events they had held, as well as their plans for the future of Zero Waste in Hungary. In the next presentation the conference heard from Sofia resident Irena Sabewa who had pioneered a community composting scheme called “living together” bringing together neighbourhood residents and using “community effort to produce community results”. The presentations ended with a talk from Ilian Iliev from the Bulgarian Public Centre for Environment and Sustainable Development. 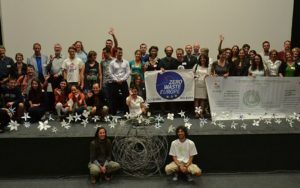 This talk tied together many of the key aspects of the Bulgarian zero waste movement. With a wide range of community projects focussing on addressing problems with collection, tackling low levels of knowledge and fighting incinerator projects. His closing remarks made clear challenges of tackling the various stakeholders of the zero waste project in Bulgaria, and claimed that it is only through working with these groups that Bulgaria can begin to move up the European ranking for waste management. Saturday saw members of the Zero Waste network looking ahead to the coming years, discussing the priorities for the campaign and strategy for growing, developing and increasing the ‘Zero Waste Cities’ across Europe. The final day of the ZWE Annual Meeting saw a summary of the ideas presented over the previous two days as well as the administrative tasks of the AGM. 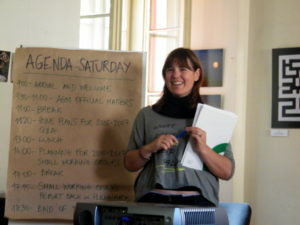 The meeting closed with an inspirational presentation from Zero Waste Europe’s Associate Director, Mariel Vilella who highlighted the global scale of zero waste campaigns, covering the work of the Global Alliance for Incinerator Alternatives (GAIA) and the changing landscape of global campaigning. Throughout the meeting, hundreds of conversations took place, experiences were shared, tactics discussed and strategies developed setting the groundwork for increased pan-European actions and co-ordination. Hearing about the successes and struggles of groups organising for zero waste, left the Zero Waste network enthused, inspired and ready to drive the campaign for zero waste forward. If you couldn’t make it the ZWE Sofia Meeting, or have only just heard about the ZWE network and want to get involved or help out, you can get in touch via email or have a look to see if there is a local group in your region by checking the Our Network section of the website.